As the heat continues to roll in, we can tell the summer isn’t far off. Most days, it already feels like summer here, but next month it will officially arrive! 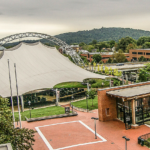 We love June in Charlottesville, and with all the great events going on, we think you will, too! Here are 5 great events you won’t want to miss! Brews with a View– June 7th. This benefit event supports the Second Street Art Gallery and the Front Porch Roots and Wings, providing music education for children. 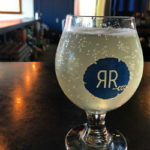 Enjoy music on the roof of the second street art gallery (Small Town Rodeo and Wild Common will be playing) along with beer from South Street Brewery and Cider from Bold Rock. This is sure to be a wonderful time and a great chance to support the arts! Thursday. Beer and Pork Dinner– June 10th. This event at Fellini’s Restaurant on the Downtown Mall will serve up a four course meal with locally raised pork from Autumn Olive Farms. The pork will be paired with beer from Random Row, a local brewery in town. This sounds like a great way to celebrate an early Father’s Day! Sunday. Summer Wine Tasting– June 13th. 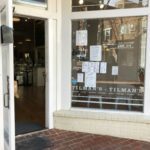 Prepare for summer by tasting a selection of favorite summer wines from Tilman’s Cheese and Wine. These wines will be refreshing and perfect to go with a summer day. The night starts off with a wine pour at 6:30 and the tasting begins at 7pm. Each wine will of course be paired with cheese! Alison Krauss Concert– June 21st. There is a low ticket warning for this event, so purchase tickets ASAP! Alison Krauss, 27 time Grammy Award winner, is coming to Sprint Pavilion. This is great concert venue on the downtown mall, and if you like country music, this is a great concert to attend. Levi Hummon will be the opener! Don’t miss this one! Which event looks like one you’d like to attend most? We hope to see you this month! 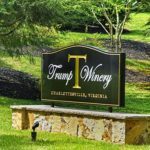 This entry was posted in Charlottesville, Charlottesville VA, Music, Things to Do and tagged charlottesville, Charlottesville concerts, Things to do in Charlottesville by Foxfield Inn. Bookmark the permalink.